The passenger compartment remained stable in the frontal impact. Dummy readings indicated good protection of the knees and femurs of the driver and passenger. smart showed that a similar level of protection would be provided to occupants of different sizes and to those sat in different positions. The chest compression of the passenger dummy indicated a marginal level of protection for that body region in the frontal test. In the side barrier impact, protection of all body regions was good apart from the chest, protection of which was adequate. However, in the more severe side pole test, dummy readings of rib compressions highlighted weak chest protection, although the other areas remained well protected. The seats and head restraints provided good protection against whiplash injury in the event of a rear-end collision. 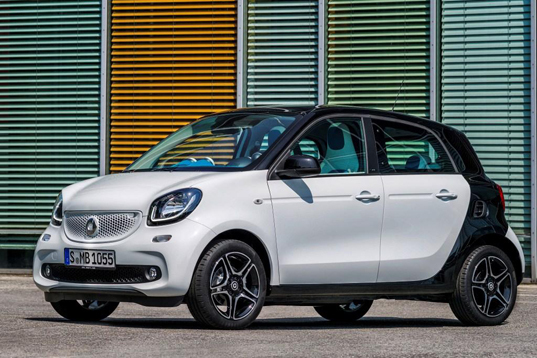 Additional tests have been conducted to ensure that the EQ forfour shares the same star rating as the petrol-engined variant originally tested in 2014.